As a distinguished Comfortmaker Dealer, we are able to offer West Virginia's most advanced HVAC systems! Our team will perform an in-home consultation and design a customized system to keep your family comfortable all year long! 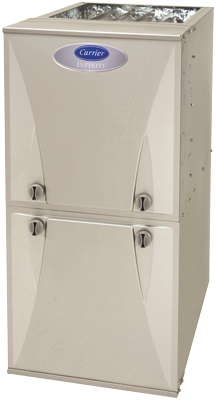 Comfortmaker gas furnaces come with impressive energy efficiency and amazing power. We can keep your home warm all winter without breaking the bank! New technological advancements keep your home more comfortable, more efficient, and safer. Our new WiFi thermostats constantly monitor your HVAC system and allow you to change the temperature from your smartphone! Richards Heating & Air Conditioning is your answer to the summer heat. Whether you need service, repair, or installation, our NATE-certified technicians can handle the job. 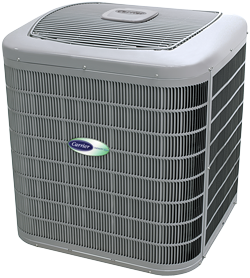 We provide top quality air conditioning products, coupled with premier service to satisfy every expectation for home comfort. We install ENERGY STAR labeled products, are equipped to repair any make or model, and service even the most neglected equipment. When you're in need of cool relief, call Richards Heating & Air Conditioning. For any type of air conditioning repair, installation, and service in the local area, call Richards Heating & Air Conditioning. Outstanding people, satisfied customers, and proven service set us above the rest. We've got the simple, affordable answers to the most complex air conditioning malfunctions. Contact us today! When that winter cold hits hard and fast, Richards Heating & Air Conditioning delivers the solutions that keep you and your family toasty warm. Enjoy perfect temperature control at the touch of your fingers. For installation, repair, or service, call our team of comfort experts. We provide top of the line products with unmatched AFUE ratings, answer repair needs with prompt, dependable service, and are happy to set up an annual maintenance plan for your furnace. Any time of the day or night, your satisfaction is our priority. Enjoy Warm Floors This Winter! If you've every longed for the luxury of Radiant Floor Heating, now is the time. Richards Heating & Air Conditioning will deliver the warmth of a heated floor so you can experience a whole new way of life. Winter won't seem long when once you've thrown those slippers away. Call us for pricing and options. Richards Heating & Air Conditioning is your single resource for home comfort. Our technicians carry on a long-standing tradition of small-town values partnered with extensive training and unmatched dedication. We treat our customers right. We know how to deliver home comfort in the Jane Lew area. Outstanding people, satisfied customers and proven service set us above the rest. We’ve got the simple, affordable answers to the most complex air conditioning malfunctions. For any type of air conditioning repair, installation and service in the Jane Lew area, call Richards Heating & Air Conditioning. We are a distinguished Comfortmaker dealer, recognized for superior products, intelligent insight and the highest levels of service. You can trust our certified technicians to make your experience convenient, affordable and satisfying. Call us today!